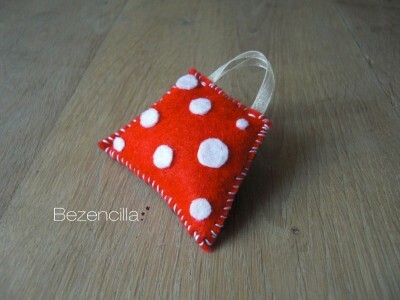 Due to my last works with the wood earrings I start thinking in polka dots. I like them very much and think they give a happy tone to most of the things are in. Then I worked in one of the beautiful brooches with the shape of a handbag, all handmade, even the spots, which took me a while to make them round. 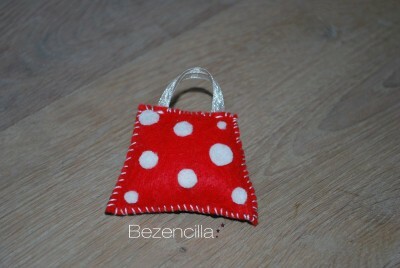 And now this little bag is waiting for her new owner! This entry was posted in ArteSano, Felting and tagged ArteSano, bezencilla, bolsito, broche, brooch, craft, felt, fieltro, handbag, lunares, polka dots, red, regalo, rojo, small bag. Bookmark the permalink.